Rubin and Mandy both grew up in Flatbush. Rubin attended The Yeshiva of Flatbush. Mandy went to Shulamith Elementary School and Central Brooklyn for High School. Rubin & Mandy have lived in Lawrence for the past 27 years. They have been affiliated with several shuls including the Young Israel of Lawrence Cedarhurst, Aish Kodesh and Rabbi Grubers. 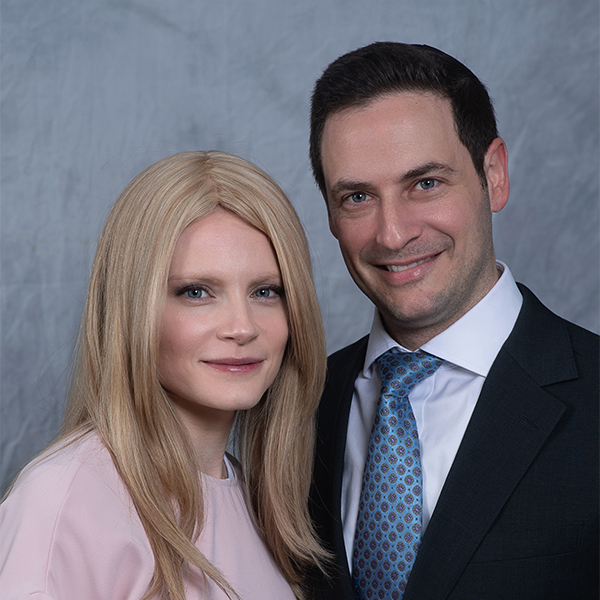 Rubin, an Ophthalmologist, specializing in Medical Retina, graduated YU, & Albert Einstein and Mandy runs the financial side of the business. They have 4 children, all graduates of HALB, and 6 grandchildren. Their eldest son Elie, is a Harvard trained dentist, currently is Chief Resident in Maxio Facial surgery in Boston. Ayelet and her husband Chaim Frankel live in North woodmere with their 3 children and works with her parents. Eliana and her husband Rabbi Moshe Watson live in Kew Garden Hills with their 3 children and is an OT working in the NYC Public School System. Shmuli, the youngest in the family, moved to Israel after High School, and lives with his wife Etty in Beitar Illit where he is learning in Kollel full time and studying Shechita. Rubin & Mandy travel frequently and always enjoy visiting Chabad Houses all over the world. It is their hope that once they retire they can become Shluchim to the Bahamas, and welcome all kinds of Jewish souls into their home on the beach. 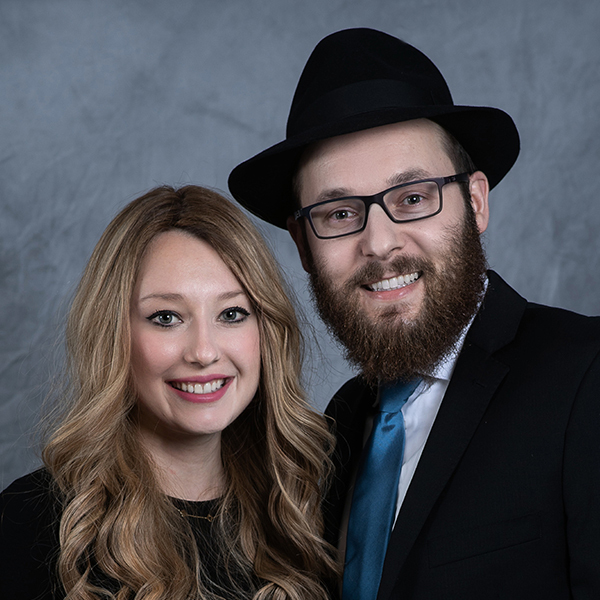 Aliza and Mendel moved to Cedarhurst 9 years ago from Teaneck, NJ. They were immediately drawn to the warmth and friendly atmosphere of Chabad. 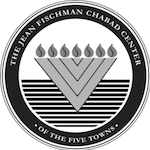 Today, Mendel and Aliza along with their three children Michali, Yoni and Levi are proud members of Chabad of the Five Towns. Both Mendel and Aliza immigrated to the United States from the former Soviet Union. Aliza came to attend a Jewish High School in Denver, CO when she was 15 years old, while her parents and family remained in Simferopol, Ukraine. This in itself was a remarkable achievement on behalf of Aliza’s parents. With almost no knowledge about any Jewish practice or way of life, sending their daughter to a Jewish school was certainly “out of style” amongst their friends and peers. Aliza graduated Beth Jacob High School and went on to attend Maalot Seminary, College, and Masters Program in Baltimore, MD. Mendel came to the United States from Moscow, Russia with his parents and sister in 1992, when he was 9 years old. Up until the age of twelve, Mendel who at that time was known as ‘Andrew’, grew up as a son of a pastor. His parents, although being Jewish, knew absolutely nothing about their heritage. Unfortunately this was a common result of growing up in communist Russia. In the early 1980’s their search for spirituality and meaning in life led them misguidedly to become members of an underground christian church. Mendel together with his family became very involved with the church even to the point that his father became an ordained minister. Despite all this, their Jewish neshama never gave up fueling their perpetual thirst for finding the ultimate truth. Within a few years of coming to New York, through a series of extraordinary events of Divine providence, and of course with the help of Chabad, Mendel together with his sister and parents returned to Yiddishkait and became fully observant Jews. From the age of 12, Mendel together with his family grew up in West Hempstead, NY. Beginning with the 7th grade he attended Hebrew Academy of Nassau County. 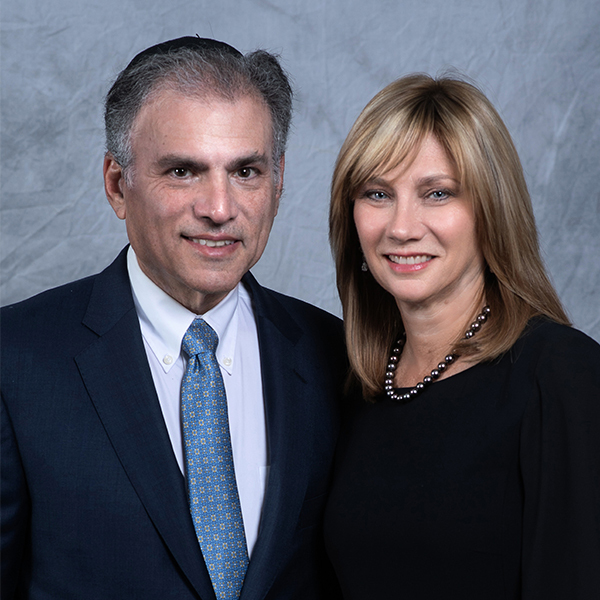 He then spent a year at Yeshiva Ohr Dovid in Israel, followed by Yeshiva University and graduated from University of Medicine and Dentistry of New Jersey as a dentist. 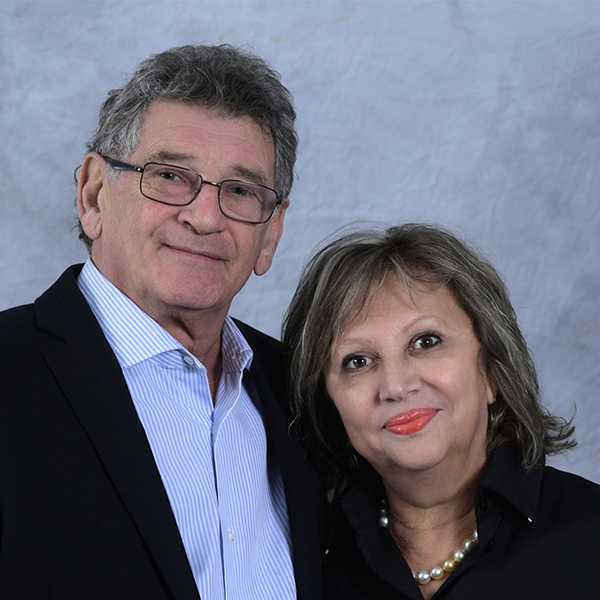 Today, both Mendel and Aliza work together at their dental practice in Forest Hills, NY. They are truly honored to be recognized at the Chabad Annual Dinner. Ivy and Greg made aliyah to Woodmere from Manhattan a little over two years ago, just in time for the starting bell of Gan Chamesh classes. The reputation of Gan Chamesh as a school infused with an infectious love of Torah and Mitzvos was quickly revealed to be a complete understatement! Before even attempting to unpack, a true partnership with many excellent educators took root and continues to flourish into its third year. Elan (5), who was blessed with tremendous individual care during his two remarkably formative years in the Yellow Room and Green Room, has passed the Gan Chamesh torch to his sister Eden (3), who has benefitted from the unsurpassed Morahs of the Red Room and Blue Room. The future together looks promising as Aviella (1.1) is eager for 2020! Greg grew up in Iowa City as a 4th generation Iowan. After graduating with a degree in Chemical Engineering from the University of Iowa, Greg worked in industry in Minnesota, Illinois and California before returning to the classroom at the University of Chicago Graduate School of Business. Following his relocation to NY to pursue an investment career, Greg was fortunate to discover the depth of the Torah. In response, he later took a sabbatical to learn in Machon Yaakov, an intensive yet intimate yeshiva in Jerusalem where he remains very involved. Greg is currently a Portfolio Manager at Loews Corporation and finds great meaning in the trenches of parenting. Ivy is a Manhattan native and attended the Ramaz School followed by the University of Michigan. After graduating with a degree in Communication Studies, Ivy returned to New York where she worked in television production (please don’t tell the kids). Inspired by a deep desire to grow and live an authentic Torah life, Ivy took a detour to attend Neve Yerushalayim in Jerusalem. Ivy went on to work in Jewish outreach at the Brownstone in Manhattan, and now dedicates herself 24/7 to the Levi family. Natalya Mikinberg is a Broker and founder of V.I. Properties, who’s been proudly servicing the Five Towns community for the past 26 years. Natalya, her husband Vitalily Mikinberg, and 2 daughters a Zhanna and Ella immigrated to New York from the Soviet Union in 1990. Before taking on Real Estate, Natalya educated students in Economy and Finance back in the Soviet Union. Her Husband was a Mechanical Engineer. Natalya has gained support due to her compassionate and sympathetic personality once establishing herself as a Licensed Real Estate Salesperson in 1993. On February 9, 1999, Natalya officially open the doors of V.I. Properties. With only herself in the beginning, Natalya nurtured her business and grew it into the leading independent brokerage in the Five Towns with over 40 Real Estate agents. Her biggest joy is contributing and supporting her community. In her free time, she enjoys spending quality time with her 2 daughters, & 5 grandchildren.